Did you know that acupuncture can normalize blood pressure? How many times do I need to be treated? Are there any side effects to be expected of Oriental Medicine? What should I do after a treatment? What is Oriental Energy Healing? Having been practiced in China for over 3,000 years, Oriental medicine is one of the oldest forms of healing. Acupuncture & Wellness are just two of the many healing modalities used in Oriental medicine. Acupuncture is a safe, natural, minimally invasive procedure which provides relief from pain and other nagging medical complaints. The goal of the practitioner is to balance the body's "Qi", or life force. It is when this Qi is obstructed that disease or illness occurs. Balancing is achieved by inserting thin, sterile needles into pre-selected points on the body known as acupoints. The acupoints often fall on meridians that flow through the body in a similar fashion as veins and nerves. The needle directly affects the body's energies to relieve pain, swelling or fluid congestion. The body is soon restored to a balanced state, and normal functioning resumes. It is safe when administered by a trained and licensed professional. You can contact your state’s licensing and regulation agency to find this out. The needles used are most often individually packed, sterilized, single use needles so as to eliminate the risk of infection or contamination. The insertion is nearly pain free. Some may feel a light pinch, tingling, or a sensation of fullness which indicates the arrival of Qi, and is the desired effect. Others may feel nothing at all, and this is ok, too. The number of needles used can very greatly. It depends upon the condition being treated, what the diagnosis is, and what the needs of the patient are. The number of needles can range from 3 - 30, but typically will be closer to 15 - 20. Certain conditions can be resolved, or greatly improved in three treatments or less. For severe, or chronic conditions, the number of treatments necessary will be more. There are some degenerative conditions that will require continuous treatment. There are other modalities of Oriental Medicine that can facilitate your treatments such as herbal medicine, nutritional alterations and exercise techniques. The initial visit will take a bit more than an hour, so a full examination can be performed, along with the Oriental Medicine examination. Subsequent visits will take 30-45 depending on the condition being treated, and the constitution of the patient. Needles remain in for about 20 minutes, and much less for the elderly, children and debilitated patients. Side effects are minimal. At worst, you can expect occasional bruising, or temporary swelling. Acupuncture itself is an extremely relaxing procedure, and most leave feeling completely calm, and perhaps a little sleepy. The benefit of herbal medicine is that it treats the root cause of your condition, not just the symptom itself, and with almost no side effects. In addition, herbs will not damage your internal organs as some pharmaceuticals do. At this time, few insurance companies are covering Oriental Medicine, but you should definitely call and ask. The more people who call, the sooner the companies will cover it! Please see this exciting article in regards to insurance coverage of acupuncture and naturopathic medicine..
Gua Sha is an East Asian technique used to relieve pain and treat or prevent illness. The literal translation is Gua (gwa), meaning to scrape or extract and Sha (shaw), meaning sand or toxins. Oiled skin is scraped with a round-edged object such as a Chinese soup spoon. The act of scraping or "Raising Sha" removes blood stagnation considered pathogenic, causes a bruised or rash-like appearance to the area being treated that fades in two to four days. The desired effect is relief of pain and easier movement through promotion of normal circulation and metabolic processes. For a much more detailed account, please visit www.guasha.com. The application of glass or bamboo cups to the skin for the purpose of releasing tension and knots from aching muscles. These knots occur from such problems aS local qi, or blood stagnation in the channels(meridians). It is like having a massage from the inside of the skin! A vaccuum is created by inserting a flame into the cup prior to placement on the body. The flame is extinguished, and the vacuum that results causes some of the skin and muscle to be slightly sucked into the jar. This pressure encourages the flow of qi and blood in the area beneath the cup, and the local stagnation begins to clear. The cup can be left in place or slid along the skin's surface using oil. This procedure is generally pain free, though may leave mild bruising which will fade after a couple days. Read about Gwyneth Paltrow's experience of cupping. It is a good idea to have a small snack before your session to prevent nausea or lightheadedness. Wear comfortable clothes so you can fully relax, and not be disturbed by pinching or constricting. When your treatment is over, you will feel very calm, relaxed, and maybe a bit sleepy. It is advisable to drink plenty water so you will stay hydrated, and nourished. 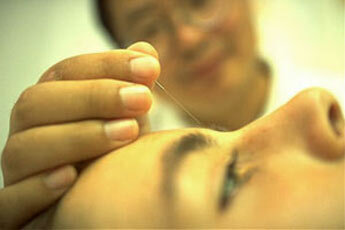 Some people feel the beneficial results of acupuncture immediately, others will feel it hours to days later. It is important to provide your practitioner with any improvements or changes you may notice after and between treatments. This allows them to gauge your progress and determine if that course of treatment is right for you. It is always a good idea to discuss new treatment options with your doctor, though their knowledge of acupuncture, and Eastern medicine may be minimal. Doctors may have an opinion for or against acupuncture even though it rarely interferes with any other conventional treatment. What is Oriental Energy Healing with Aimee Brown?